Regular brushing with a normal toothpaste isn’t enough to protect your teeth from the damaging effects of aging. Now, by using Neydent toothpaste, you can keep your teeth healthy, protect your gums and make bad breath and pain a distant memory. 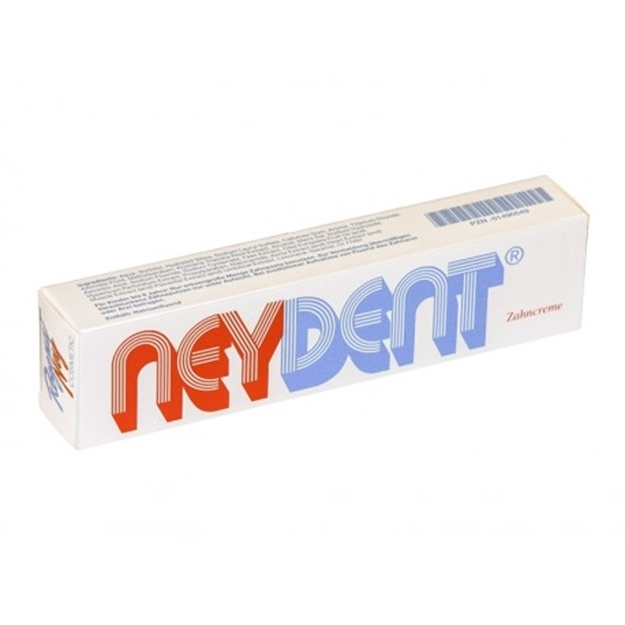 In fact, Neydent toothpaste prevents a number of problems including: gum bleeding, tooth decay and bad breath. The carefully blended Neydent toothpaste ingredients also help to treat serious conditions such as gingivitis and gum disease. Only available online, it is so much better than standard whitening toothpaste readily available in your local pharmacy and does far more than any flossing toothbrush. Aging causes destruction of teeth enamel leading to tooth decay. Decay of the root is brought on by bacteria in plaque – the sticky, whitish film formed by protein in our saliva and by sugary substances in the mouth. The older we get, the more susceptible we become to such root decay, because we tend to lose gum tissue and the roots are increasingly exposed to plaque. Choosing a standard Tooth Whitening Toothpaste is not enough to guard against these dangers. If you suffer from bad breath or teeth pain, it’s worth investing in something that does much more than just maintain white teeth. Different factors account for the gradual erosion of enamel and receding gums, including normal wear and tear, diet, the use of certain medications and even stress. Many common medications can reduce saliva, which is the body’s natural protection against tooth decay. These changes to your gums occur very gradually over a very long period of time, so you are unlikely to really notice any difference in appearance. Slowly, your teeth will seem longer and more widely spaced as the gum recedes and the roots of your teeth become exposed. While you may get accustomed to the slowly-changing appearance of your teeth and gums, bad breath and pain and also gum bleeding are sure signs that it’s more than merely visual changes your teeth are going through. However, if you develop gingivitis it is unlikely to go unnoticed as symptoms include bad breath and red, swollen or tender gums. Gingivitis is reversible if caught in its early stages, but can lead to loss of teeth and the onset of gum disease. The Neydent toothpaste ingredients are formulated to stop gum bleeding, to repair receding gums and halt tooth decay. At the same time the toothpaste will give you white teeth and get rid of bad breath. This biologically regenerative toothpaste repairs tissues and improves blood flow, which strengthens the gums and builds up resistance against infections. Neydent toothpaste contains a mixture of bimolecular proteins with ribonucleic acids that are the building blocks of DNA and offer enormous health, regenerative, repair and anti-aging benefits. It also contains an antibacterial matrix called Liquor Amnil which helps fight against infection and bacteria that may cause teeth pain and decay. Electrolytes, vitamins, hormones and enzymes are also included in Neydent toothpaste to help support natural biological functions. Other important ingredients of Neydent toothpaste are Rathania and Johanniskraut oils to help protect against bleeding gums. It also contains kiesel acid which reduces tissue shrinkage and encourages better cell activity. Avoid gum bleeding and get rid of bad breath by using Neydent toothpaste after each meal – or at least twice a day. Allow the foam to stay on your teeth and gums for longer than standard toothpastes before rinsing off. White teeth, a bright new smile and a pain-free future are assured with neydent toothpaste’s powerful formula, helping to banish teeth pain and repair receding gums. David Koller D.M.D. New Zealand. With this deterioration, the risk of gingivitis and gum disease increases. And as anyone who’s suffered from these conditions will tell you – this can be painful, expensive and lead to further mouth problems. Fortunately there’s Neydent toothpaste. Also known as neydent zahncreme, neydent contains electrolytes, vitamins, biomolecular proteins, and an antibacterial matrix called liquor amnil -a proven fighter of infection and harmful bacteria in the mouth. Neydent also contains kiesel acid, which is a special acid, particularly effective on receding gums by getting more blood flowing to the gum tissue itself. More blood flow means better cell activity and more cell regeneration.